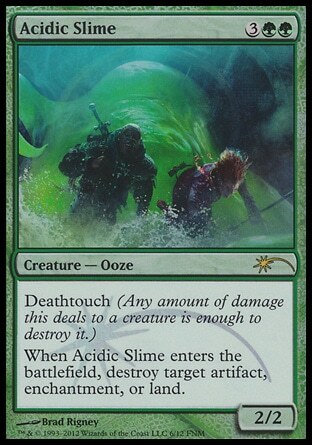 At any rate, Acidic Slime if i recalled correctly was in pod, something to go into to blow up a land, artifact, or enchantment. Which is great since Birthing Pod allows you to choose and you can pull this baddy out to take care of a problem. 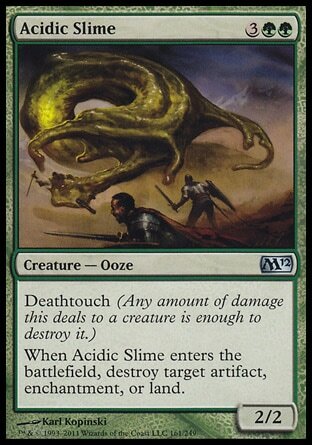 Otherwise, its a 5 drop, 2/2 deathtouch-ing slime. lets win one and scan it!